Join our email list and you’ll automatically be entered into our Win A Free Reading Contest! 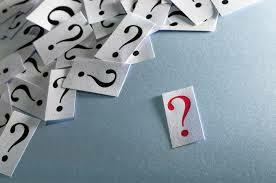 How Can I Get a Question Answered in One of the Advice Columns? Keep in mind that the advice columns are for general spiritual advice, not personal free readings. Questions like the ever popular “Will I get pregnant?” “Will my boyfriend and I get back together?” and “I’ve lost my Great Aunt Bertha’s ruby ring. Where is it? !” should be addressed in a personal reading. The more people would benefit from hearing the answer to your question, the more likely we are to choose it for publication. Read your question back to yourself and imagine you know nothing about it. If it doesn’t make sense to you, it’s not going to make sense to us either. What Can I Receive Via Email? You can receive Kajama’s daily inspirational messages and weekly digest by email absolutely FREE! Check out our Email Signup Options page. Subscribe to Susyn Blair-Hunt’s daily horoscopes by email for just $5 per month. Your subscription includes exclusive perks, like weekly horoscopes and discounts off readings. For more details, click here Horoscope Subscriptions. We dislike undesired email as much as you do, so every email we send out has a handy unsubscribe button on the bottom. If you want to stop receiving the weekly digest or the daily inspirational messages, just click on that link at the bottom. How Can I Get My Writing Featured in Kajama? If you like what we’re doing and feel like your work would be a good fit, feel free to contact us at atyourservice (at) kajamamail.com. I’m a Professional Psychic. How Can I Work Through Kajama? Kajama’s psychics are an extraordinarily talented, skilled, time-tested and sincere group of professionals. If you feel you would be a good match for the level of quality and devotion Kajama readers embody, then we’d be happy to consider adding you to the team. Please contact us for more information.